What is an Asian cockroach? The Asian cockroach, Blattella asahinai (Mizukubo), is a little less than ¾” long when it is full-grown. It is a tan-colored roach with two dark stripes that run the length of its body. Asian cockroaches reproduce quickly. There have been reports of Asian cockroach populations as high as 250,000 insects per acre. Since Asian cockroaches can occur in great numbers, a fairly large amount of bait might be needed. The bait will have to be re-applied from time to time because more roaches will fly into the yard. 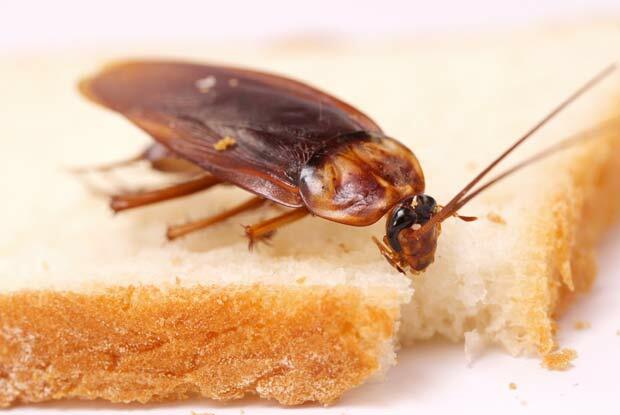 Many homeowners find it more convenient to rely on pest control professionals to control the Asian cockroach.